Our Senior Companion Program (SCP) connects independent older adults with peers whose independence has been compromised. 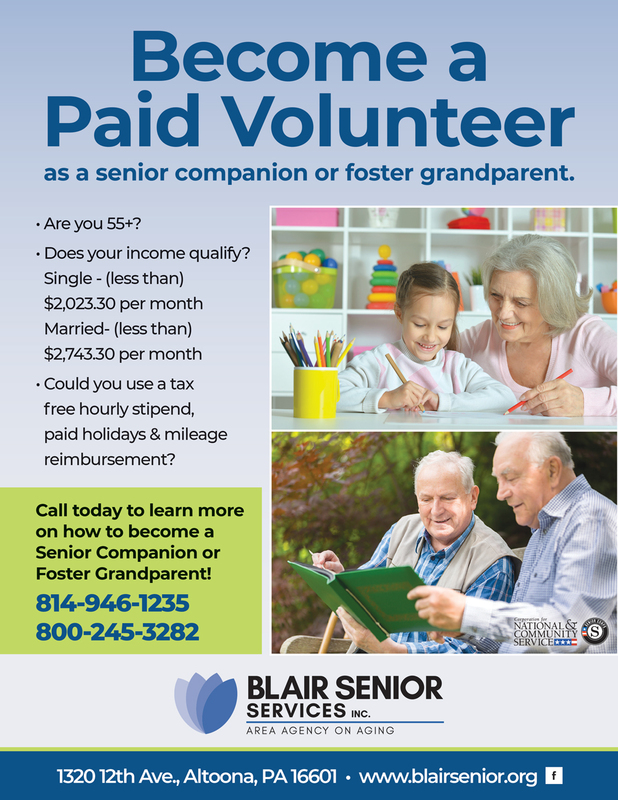 If you are blessed with the health, mental acuity, and the support system necessary to remain independent later in life, you can become a Senior Companion to pay that blessing forward by helping other seniors in Blair County stay independent too. Senior Companions help people whose independence is compromised stay in their own homes by providing friendship, emotional support, and care to supplement that provided by family or professional caregivers. Ultimately, Senior Companions use kindness and compassion to make a difference that strengthens and helps preserve an individual’s independence and quality of life. Must commit to a minimum assignment schedule of 15 service hours per week. Senior Companion Program at Blair Senior Services, Inc.